MSC Global Users’ Conference at HxGN LIVE- See the Agenda! Home / Events / MSC Global Users’ Conference at HxGN LIVE- See the Agenda! Hexagon Manufacturing Intelligence today announced the 2018 MSC Software Global Users’ Conference will be held at HxGN LIVE, Hexagon’s premier cross-industry technology conference, from 12-15 June at The Venetian in Las Vegas. During this four-day event, Hexagon Manufacturing Intelligence will highlight innovative, data-driven manufacturing techniques and technologies that are redefining quality and productivity in the Smart Factory. Three sub-tracks – Design and Engineering, Production, and Metrology – form the Manufacturing Intelligence Track. The MSC Software Global User’s Conference will be hosted in the CAE and simulation-focused Design and Engineering sub-track, attracting company executives, engineering managers, CAE specialists, product development professionals, designers and academicians. 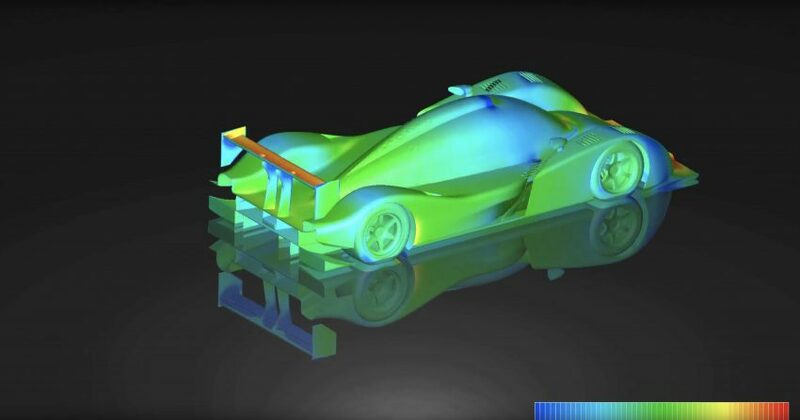 The MSC Software Global Users’ Conference will offer educational content for novice and expert users of MSC Software’s expanding product portfolio: MSC Nastran, Adams, Marc, MSC Apex, SimManager, Digimat, Simufact, Actran, Cradle CFD, and VIRES VTD. The conference program features topical expert presentations, customer success stories, an Experts’ Desk and Q&A sessions, and unique networking opportunities. Conference attendees will learn about simulation methodologies, best practices and MSC’s vision for virtualization of the manufacturing process. Users will get a first-hand look at how the digital thread can integrate MSC’s engineering solutions with other process touchpoints and embed quality throughout the product lifecycle. In addition, participants have entry to the entire HxGN LIVE venue including keynote sessions and The Zone technology expo staging more than 120,000 sq. ft. of Hexagon technologies and 60+ exhibiting sponsors. On Tuesday 12 June, the MSC Software Global Users’ Conference commences with free training sessions conducted by MSC Software product experts. Training topics include: 1) What’s New in Apex Hawk, 2) Using Simulation for First-Time-Right Additive Manufacturing, and 3) Virtualizing Welding and Forming Processes. Following the training sessions in late afternoon, all attendees are invited to the kick-off HxGN LIVE Conference Keynote address and reception immediately following. On Wednesday 13 June, MSC Software President Paolo Guglielmini and CTO Brian Shepherd will present MSC’s new corporate vision, strategy, and roadmap to the future. Other session topics include ‘System Dynamics Simulation in Vehicle Electrification and Automation’ and ‘Improving Customization and Integration of Simulation into Your Engineering Processes’. In the afternoon, there will be six sessions featuring customer-presented application stories in automotive, aerospace and other industries. On Thursday 14 June, expert presentations continue with topics such as ‘Managing Enterprise Data and Processes with Engineering Lifecycle Management’, and ‘MSC Additive Manufacturing Solution for Metals and Polymers’. The agenda also includes the Experts’ Desk, where users submit their toughest questions and meet MSC applications experts face-to-face for resolution. In the afternoon, there will be six more sessions featuring customer stories and two MSC Software aerospace and automotive presentations covering autonomous vehicle simulation and hydraulics cosimulation for aerospace systems.